Delivering quality water while being environmentally conscious has elevated the significance of efficient pumping systems. Pumping options range from submersible, centrifugal, vertical multi-stage pumps, and many more. Our expertise can guide designers and end users towards appropriate sizing and selection of pumps and pumping systems. 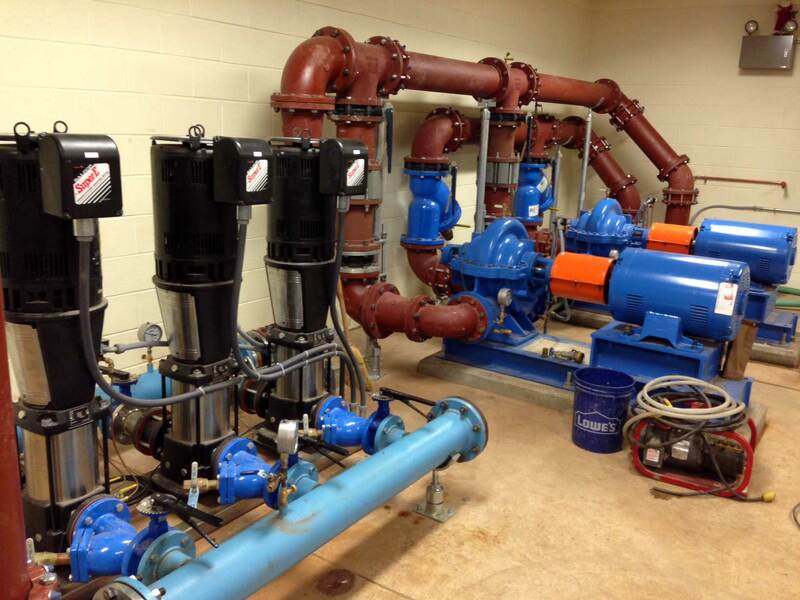 Whether a small residential system or commercial building, industrial application, or restaurant that has stringent requirements for the quality of the water provided for their facility, OPSCO water treatment experts can test, analyze, and recommend the appropriate treatment equipment and sequence of operation for proper treatment and delivery of safe potable water. Managing water after it has been used is a critical component of today’s environmental focus. Our experience ensures that a systematic approach will offer a comprehensive solution to unique wastewater installations. Pump designs such as solids handling, non-clog, vortex, and grinder offer unique capabilities suited for particular situations. Lift stations, holding tanks, on-site septic and pump chambers are available in fiberglass or blow molded poly providing secure containment of the waste in preparation for its treatment. A single component or a complete system, we stock all you will need for your home water system, waste water system or water treatment system. Pick-up what you need at one of our four convenient locations or allow us to deliver your order on a regularly scheduled delivery. We offer 24/7 emergency service as well. From concept, to product selection, installation to trouble shooting, we participate in every step of your project to provide a cost effective, efficient solution to your requirements. Whether you are transferring or boosting the pressure of clean water or waste water we have the pumps, drives, controls and accessory items to get the job done . OPSCO offers a wide range of products to support the Marcellus Shale natural gas drilling effort. Products include self-priming trash pumps, submersible and self-priming centrifugal water transfer pumps, sludge, slurry and frac water pumps. 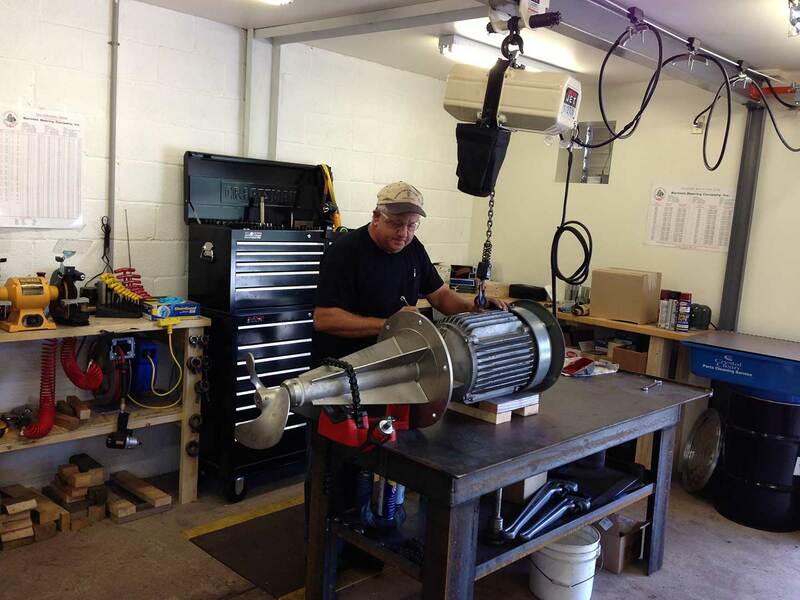 OPSCO Service Inc. is our full service pump and motor repair/rewind facility. Our repair technicians are factory trained and have over thirty years of repair experience. We repair all makes and models including end suction, split case, vertical turbine, positive displacement, air-operated diaphragm and submersible pumps and mixers. In addition we offer a rewind and repair service for electric motors. We provide pick-up and delivery service and we offer emergency service 24/7. Rosenberry's Septic Services is pleased to have partnered with OPSCO to meet our customers pump needs. With OPSCO expert technical guidance, I am assured that the correct pump will be selected for the application at hand. When our customers are happy, we're happy. Thanks OPSCO. Just wanted to pass on a thank you to you and your crew. Your sales and service staff both inside and out are a great asset to you and the customers. They are very knowledgeable and helpful, not to mention same day service when we are in need of a pump in an emergency. Thanks again. My company started using OPSCO for their customer service and competitive pricing. We continue to use OPSCO because they have always backed up their customer service and when we need help they are always available to help us figure out a solution to the problem and they continue to have competitive pricing. Unlike other companies OPSCO has always over delivered on their customer service and that always helps us look good to our customers. We are proud to partner with OPSCO and will continue to do so. Steve WaltersWalters Environmental Services Inc.
We have dealt with OPSCO for many years and they stand out as one our best suppliers. From their great personal service and prompt response to information requests to working together to solve the inevitable challenges that come up in the course of business, OPSCO personnel excel at making sure we have what we need. This, in turn, enables us to give prompt and personal service to our customers and helps us be efficient and profitable. Also, everyone at OPSCO is so helpful and friendly. We have enjoyed working together with them and plan to continue our business relationship far into the future. From our very first contact with Orchard Supply in 2008, our experience has been as good as it gets in the world of wholesale plumbing. Orchard Supply’s inventory of water and sewage pumps is incomparable. In our opinion you can tell how well a wholesaler values their customers is by the scope of their inventory they carry. If you have a customer that has a large poultry or other agricultural operation, or anybody with a need for a larger than normal pump, Orchard Supply is the company to have in your corner. Their inventory is one thing; but, their service is right “on-par”. Orchard Supply has traveled as far as the Lewisburg area and delivered a 50 gpm water pump to the Hanover area as fast as could be done. We truly value their service. M&W has been working with Orchard Pump and Supply for our pump needs. 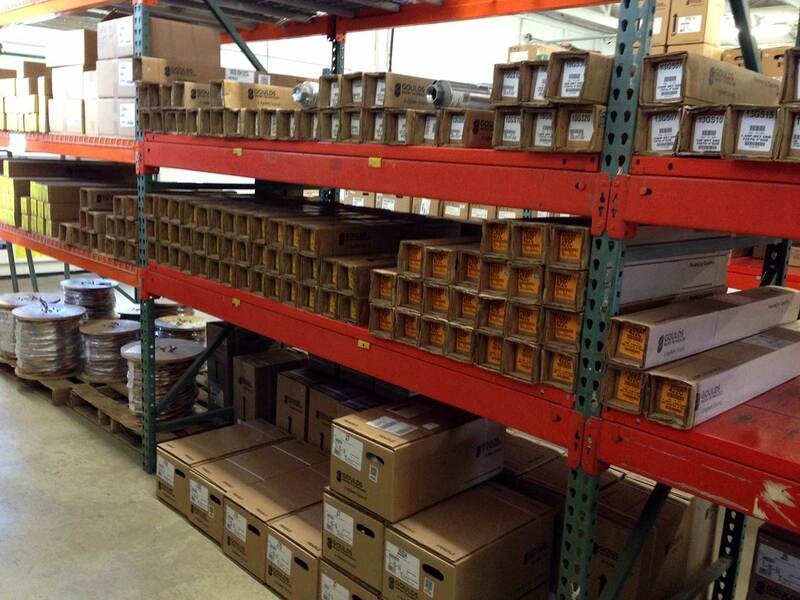 We depend on OPSCO to have inventory and knowledge. The staff at Orchard is extremely knowledgeable and responsive to our needs. I truly believe OPSCO thinks of us as a business partner and by doing so we all will be successful. Orchard Pump & Supply Co., Inc. was established in June of 1987 when Ken and Jeanne Hafer bought Frederick Miller Supply Co. in Lewisburg, PA. We started with few customers and little business. At the beginning, our largest and most valuable asset was the relationship that Frederick Miller had developed with Goulds Pumps and Master Water Conditioning Company. Beginning day one, our first employee, Terry “Mitch” Mitchell and I worked tirelessly to spread the word about Orchard Pump and to build relationships with other vendors and especially with our potential customer base. Rick Wetzel joined Orchard Pump in 1989 and Jeff Walls joined the “Team” in 1993. We consistently gained customers and grew the business. “Mitch”, Rick and Jeff formed the backbone of the company and I am proud to say that they are still with us today, building relationships and taking care of business. Thanks, guys.